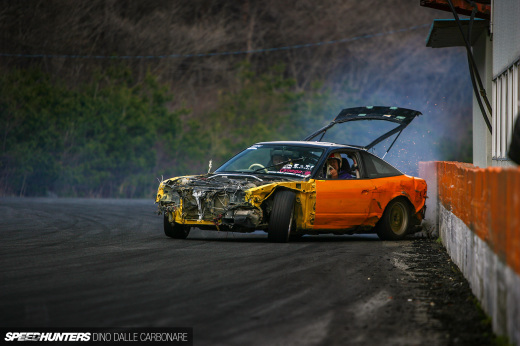 This weekend will mark Team Orange’s second visit to the European Drift Championship. This time around they’ll be taking on some night drifting at Santa Pod. I’m sure they’ll be very hungry to take the spoils this weekend! For now let’s look back at the drama that was their visit to Silverstone last month. Big props to our friends at Clash Production for this fine piece of video work. Those kids on that sight couldnt appreciate it tho. A vid like this and what speedhunters posts up make drifting seem like a true professional sport. Not that it isnt, but when you go to drift event its always damn embarrassing circus until the action starts. I have to agree with you.. the Slomo-Moments are getting played out at this stage. We'll look at switching things up for the next set of videos.